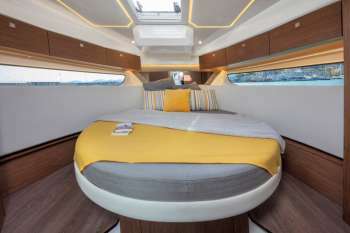 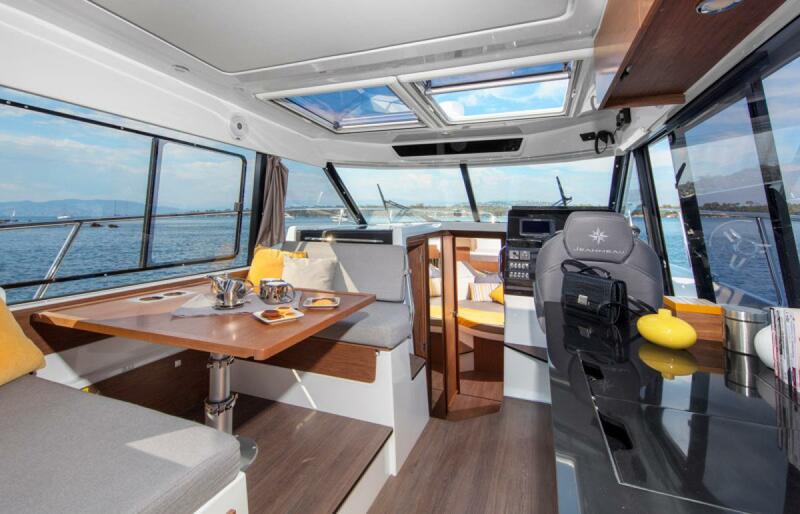 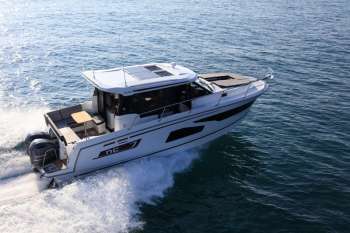 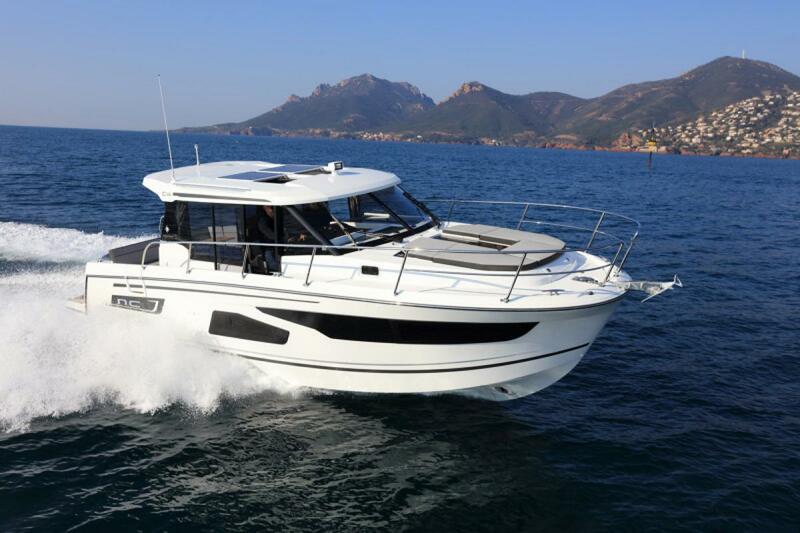 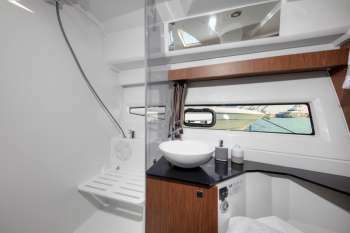 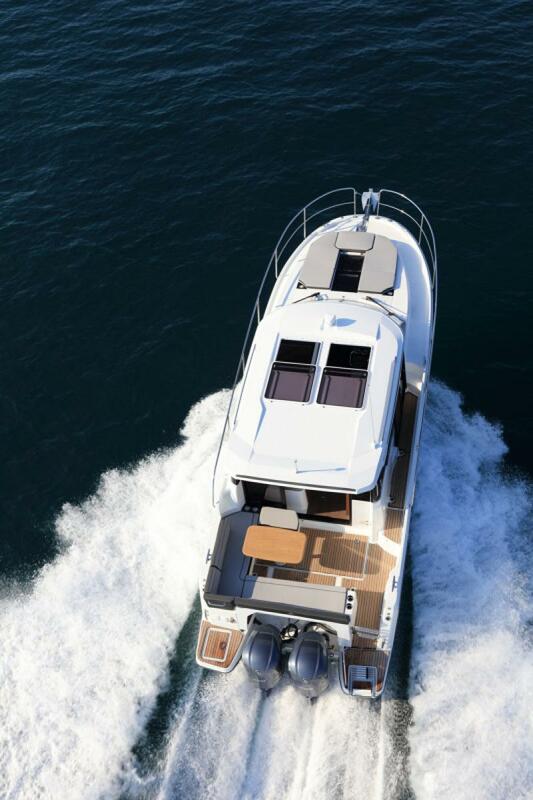 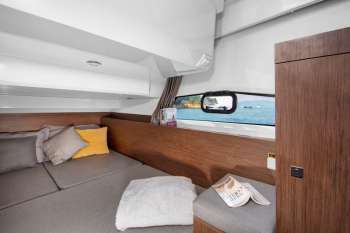 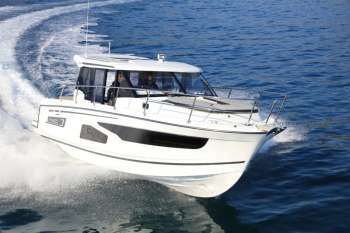 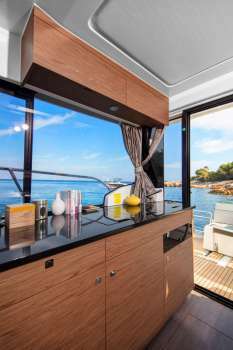 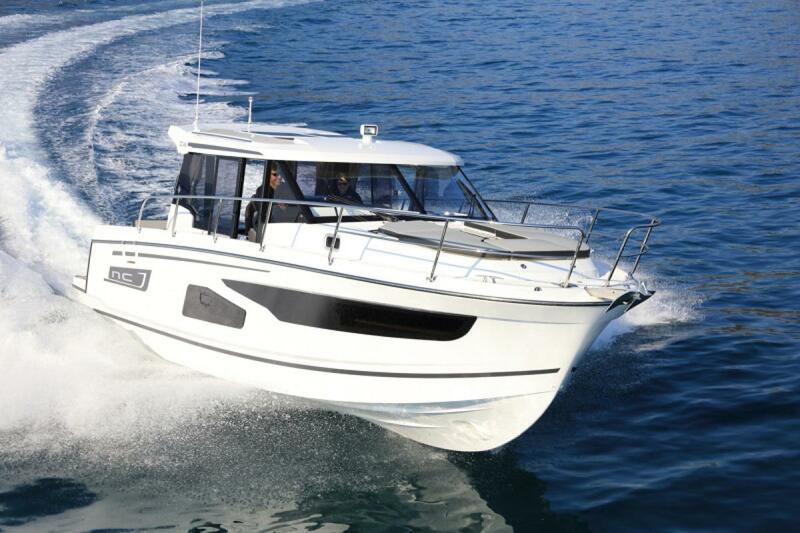 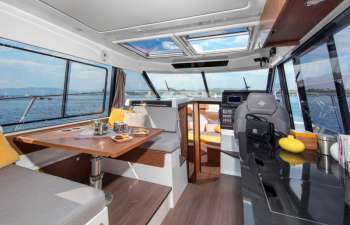 Like all Jeanneaus, the NC 1095 has been designed for life underway and include some clever features like recessed side-decks allowing for safe movement about the boat with easy access to the helm. 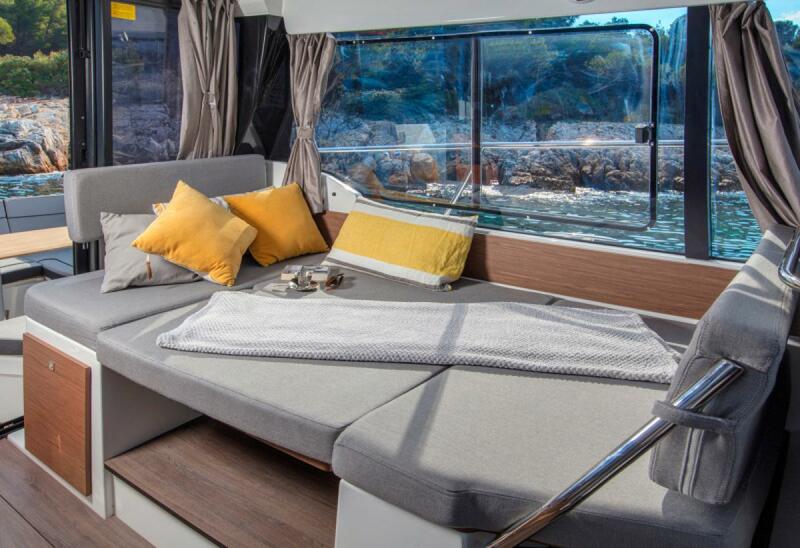 A large L-shaped lounge comfortably fits a large group and easily converts into a large lounging area. 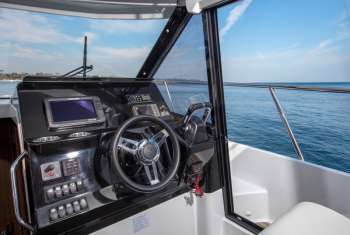 Large transom platforms on either side of the outboard engines, make boarding safe and easy. 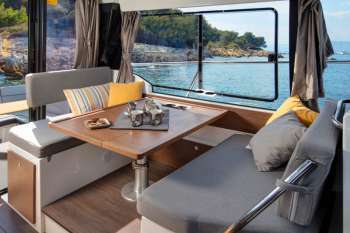 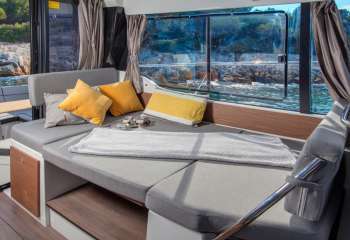 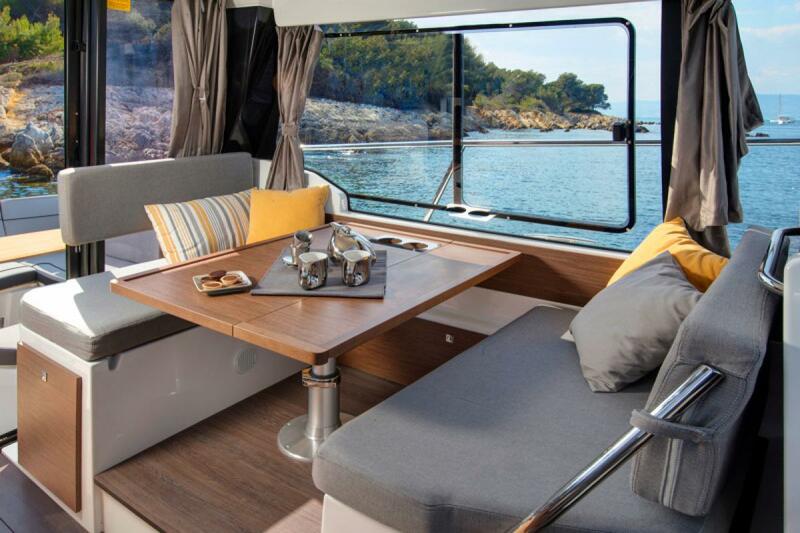 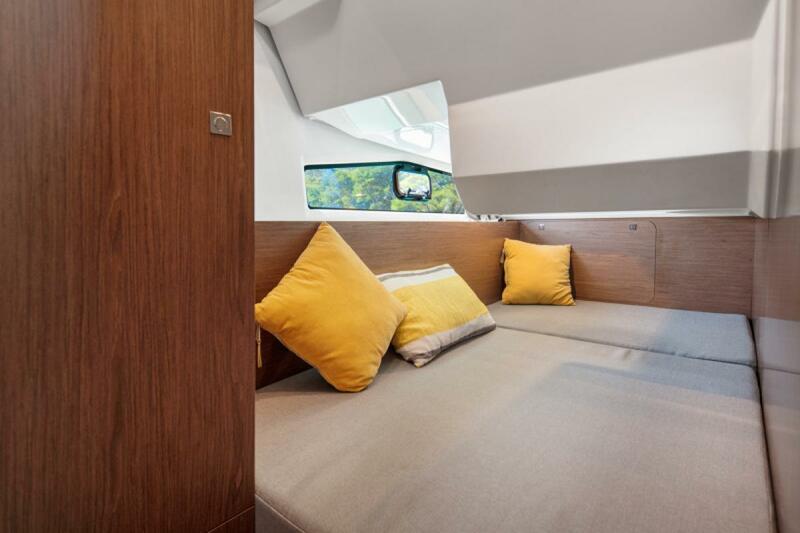 To fully enjoy life on the water, the forward sundeck with its lifting back rests, provides for additional living space while on deck.